Please join us at The Poets Laureate of Lawrence – each month we host a monthly featured poet followed by an open reading that happens every 4th Tuesday of the month. This month we are meeting for a poetry gifting and writing night, instead of a featured poet. Bring 15 photocopies of one poem that currently inspires you (by an author other than yourself). We will read aloud these poems, then spend time writing our own poems mirroring or responding to what inspires us. Everyone will go home with a collection of the groups’ chosen poems and a draft of a new poem. A Vonnegut Reading with Chris Lafave! Chris Lafave will be reading selections from Kurt Vonnegut's 1974 collection of essays "Wampeters, Foma and Granfalloons!" Check out our event page for details and let us know if you'll be joining! Our curator likes to talk Vonnegut, not just at the museum but at his favorite Indianapolis bar as well. Dorman Street has the best jukebox, pool table, cocktails, beer, and frozen pizza in town! Come join Chris for a discussion on "Biafra: A People Betrayed," "Address to Graduating Class at Bennington College, 1970," and "Torture and Blubber" from Kurt's 1974 collection of essays "Wampeters, Foma and Granfalloons!" Now in its 8th year, the Spoken Word Stage at the 4th Street Arts Festival is one of the largest literary performance events in the Midwest, featuring storytelling, poetry, fiction, non-fiction, live radio theatre, and other unique collaborations. And of course, the ever-popular Poetry on Demand table will be staffed with a fleet of poets armed with typewriters ready to deliver! She will read Wednesday, September 5, 2018, at 7:30 PM in Thompson Recital Hall, Green Center for the Performing Arts. 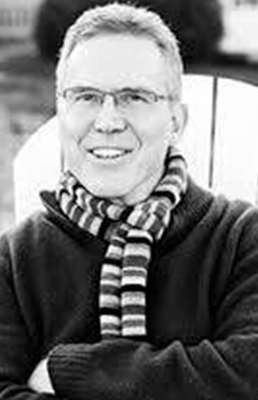 Chris White is professor of English and Creative Writing at DePauw University. The Life List of Adrian Mandrick is her first novel. Thursday, Sept. 6; 7 p.m.
at SullivanMunce Cultural Center, 225 W. Hawthorne St., Zionsville. Join us to greet Brick Street poetry audience favorite Donald Platt. An open mic will follow the reading. The event is free. Platt is the author of Tornadoesque (2016), Dirt Angels (New Issues Press, 2009), My Father Says Grace (Arkansas University Press, 2007), Cloud Atlas (Purdue University Press, 2002), and Fresh Peaches, Fireworks, & Guns (Purdue University Press, 1994). His honors include the Discovery/The Nation Poetry Prize, the Paumanok Poetry Prize, two Verna Emery Poetry Prizes, and two fellowships from the National Endowment for the Arts. He teaches at Purdue University and lives in West Lafayette, Ind. Brando Skyhorse’s debut novel The Madonnas of Echo Park received the 2011 PEN/Hemingway Award and the Sue Kaufman Prize for First Fiction from the American Academy of Arts and Letters. The book was also a Barnes & Noble Discover Great New Writers pick. Take This Man: A Memoir was an Amazon Best Book of the Month selection and was named by Kirkus Reviews as one the Best Nonfiction Books of the year. Skyhorse has also co-edited an anthology, We Wear the Mask:15 True Stories About Passing in America. He has been awarded fellowships at Ucross Foundation and the Breadloaf Writers’ Conference and was the Jenny McKean Moore Writer in Washington Fellow at George Washington University. Skyhorse is an Associate Professor at Indiana University Bloomington, where he teaches in the MFA Program in Creative Writing. He is currently writing a new novel. 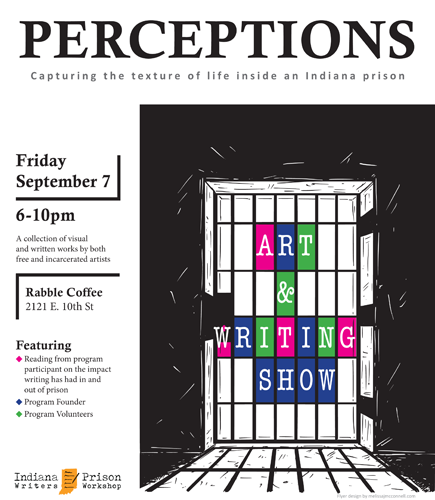 Indiana Prison Writers Workshop (program) to hold a traveling exhibit from 6-10pm on Friday, September 7 at Rabble Coffee House in Indianapolis, Ind., featuring work by both free and incarcerated artists. The collection was curated by Indiana Prison Writers Workshop. No monies will be accepted on behalf of the artists work. Indiana Prison Writers Workshop's mission is to improve the lives of those incarcerated through writing and expression. The certificate-based workshop, in partnership with the Department of Corrections, advances critical-thinking and problem-solving skills and uncovers issues once buried. IPWW prepares men and women for successful re-entry and the tempo of life in the free society through creative writing and improved communications. Sarah and Kate would love to see you at the the launch party for their two new books of flash fiction on First Friday downtown! They'll read stories that navigate the personal, the political, and the magical, particularly surrounding women's lives and relationships. Snacks and conversation will follow the event. Sarah Layden’s The Story I Tell Myself About Myself, winner of the inaugural Sonder Press Chapbook Competition, is an intimate, deftly crafted collection. The fictions housed here, while brief, are delicate and deliberate, each capturing at once the vast, fleeting fragility of our existence and the singular, profound experience of each moment lived. And while these are stories of abandonment and regret, of desire, guilt and longing, there is love and good intention, faith and wonder here, as well. Layden crafts her prose with precision and a keen understanding of the nuance of language. Each story is a measured mouthful, sweet and full on the tongue. The Story I Tell Myself About Myself tells the story of all of us, the spectrum of our lives laid bare, our own reflection refracted. Sarah is the author of the novel Trip Through Your Wires (Engine Books), and her short stories appear in Boston Review, Booth, PANK, Artful Dodge, and elsewhere. Her essays can be found in Salon, Ladies' Home Journal, and The Humanist, among others. The Story I Tell Myself About Myself, flash fiction, won the Sonder Press 2017 Chapbook Competition. She teaches creative writing at IUPUI and the Indiana Writers Center. 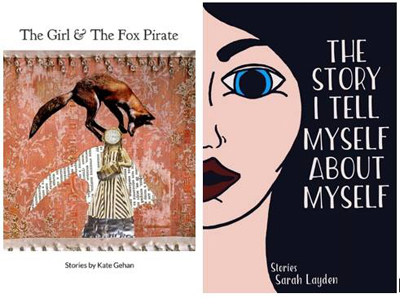 The Girl and the Fox Pirate (Mojave River Press), Kate Gehan’s debut collection of thirty-four stories, is a wry, tender, and inventive exploration of the ways we manage relationships with our siblings, spouses, children, and even ourselves. Qualities of magic realism permeate her writing as characters navigate problems in a world where tumultuous emotions may literally burst into flight. In “Now They Would Behave” a family’s discord manifests as an escaped dragon they must tame. In “It Grew to a Certain Size,” a mother blames herself for her daughter’s death and finds solace conversing with her talking pet pig. In “New Wavelengths” a woman harnesses unexpected natural power to seek revenge on her harasser. Gehan also lasers her insight to critique narrow definitions of female beauty, ultimately inviting us to envision a more glorious society. Kate was born and raised in New York City and is a graduate of Haverford College and Emerson College's MFA program. Among many publications, her writing has appeared in McSweeney's Internet Tendency, Split Lip Magazine, Literary Mama, People Holding, and as a winner of Midwestern Gothic's Flash Fiction Summer 2016 series. Kate read as a cast member of the 2014 Listen to Your Mother Show and her work has been nominated for the Pushcart Prize, The Best of the Net, and Wigleaf's 50 (Very) Short Fictions. She has lived with her family in the Indianapolis area for over a decade. Come one, come all, to the most joyful poetry event in all America! 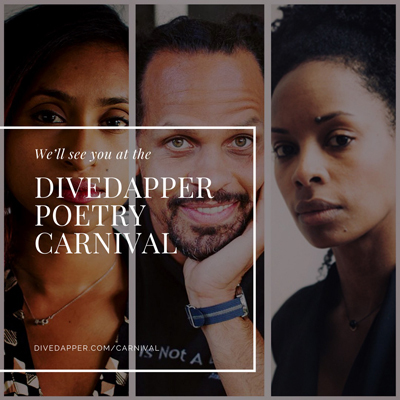 Join us at the Butler University/Efroymson Center for Creative Writing Saturday, Sept 8 from 2 to 8:00PM for the Divedapper Poetry Carnival, featuring a rotation of delights: live music, fair food, carnival games conducted by beautiful people with perfect hair, and poetry readings from Nicole Sealey, Ross Gay, and Tarfia Faizullah – they all have perfect hair too. There will be youth workshops and workshops for adults, free swag, free food, free booze—the whole celebration is totally free! 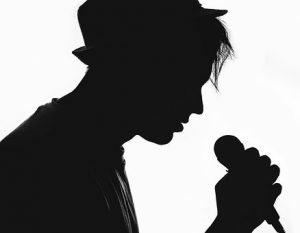 Presented in cooperation with Butler University, the Divedapper Poetry Carnival aims to obliterate the idea that poetry is obtuse, or unapproachable, or in any way un-fun. Spend the day with us. Listen to words, write some of your own, eat a corn dog. It's going to be a good time. Go here to see the entire schedule. 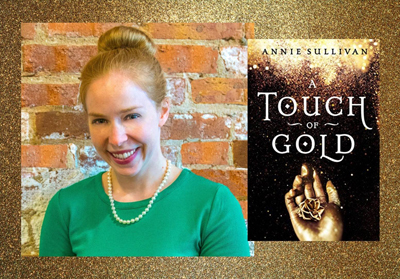 We're excited to host author Annie Sullivan, who will be signing her buzzed about her novel, A Touch of Gold. Annie Sullivan graduated in December 2012 with her MFA in creative writing from Butler University. Her work has been featured in Curly Red Stories and Punchnel’s. Her novel, Goldilocks, won the Luminis Books Award at the 2013 Midwest Writers Workshop. She lives in Indianapolis and loves traveling and exploring new cultures. When she’s not off on her own adventures, she’s working as the Copy Specialist at John Wiley and Sons, Inc. publishing company, having also worked there in Editorial and Publicity roles. Every year PEN America sets aside an evening to celebrate and recognize excellence in writing from people in prison. 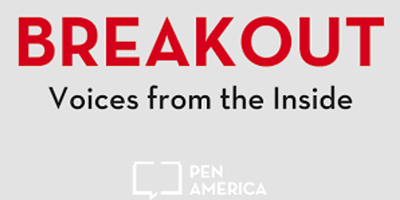 This year’s program, “Break Out: Voices from the Inside,” commemorates the 1971 Attica Prison Uprising and PEN’s Prison Writing Program, which was founded in its aftermath and now reaches more than 20,000 incarcerated writers annually. 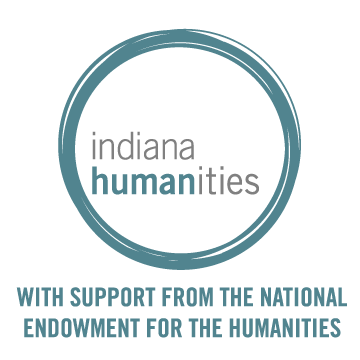 As part of PEN America’s national outreach initiative, PEN Across America, the Indiana Writers Center has invited local writers to read writing by people incarcerated in the Indiana prison system, and writing by winners of the PEN America Writing Contest on Monday, September 10 at 7:00 pm. The free reading will be held at Tube Factory. Please join us in honoring the struggle for free expression in prison and the importance of writing as an act of creative resistance and triumph. The slam judges are picked from the audience along with a time keeper and score keeper so if you don’t want to tell, you can still participate. Our host, Celestine Bloomfield will pick ten names of those who want to tell from a hat at the top of the show. The first place winner will open for Vicki Juditz, a Moth GrandSLAM winner on Saturday, September 22, 2018 at the Eugene and Marilyn Glick Indiana History Center. Second and third place winners will receive complimentary tickets to an upcoming storytelling performance and IndyFringe performance. 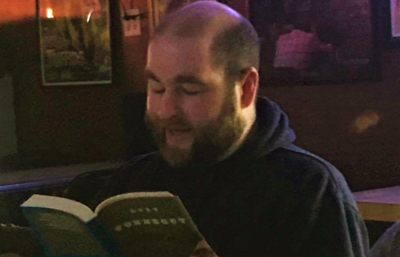 Noah Baldino's poems have appeared in Poetry Magazine, Black Warrior Review, Kenyon Review, and elsewhere. They are a poetry editor for the Sycamore Review. They were a finalist for the 2018 Ruth Lilly and Dorothy Sargent Poetry Prize. Adrian Matejka is the author of four books, including Map to the Stars and the Big Smoke, which earned him a nomination for the National Book award and the Pulitzer Prize in poetry. Indianapolis's own hometown hero, his long list of prizes includes a Pushcart, a fellowship from the Guggenheim Foundation, and many many more. He is the poet laureate of Indiana. 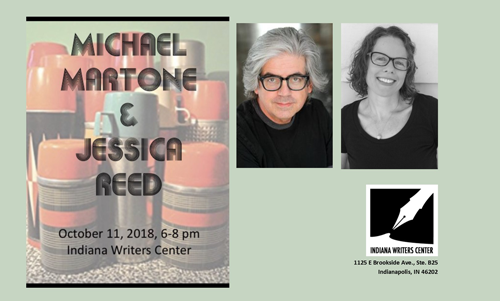 Join visiting writer Michael Martone and poet Jessica Reed for an evening of prose and poetry. Both writers will present a reading of their work, followed by a book signing. Michael Martone, native of Fort Wayne, has been writing fiction and nonfiction about indiana and the Midwest for 40 years. His newest books are BROODING and THE MOON OVER WAPAKONETA: FICTIONS AND SCIENCE FICTIONS FROM INDIANA AND BEYOND. He has taught creative writing at Iowa State, Harvard, and Syracuse universities and currently teaches at the University of Alabama. Jessica Reed’s chapbook, World, Composed (Finishing Line Press), is a dialogue with the ancient poet Lucretius about atoms. Her work has appeared in Crazyhorse; Conjunctions; The Indianapolis Review; North American Review; Bellingham Review; New American Writing; Colorado Review; Waxwing; 111O; Tinderbox Poetry Journal; Spiral Orb; The Fourth River; and elsewhere. She has a MFA in Poetry and a BS in Physics, both from Purdue University. 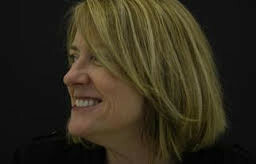 She taught creative writing at Scottsdale Community College in Arizona and Ivy Tech Community College, and for the Johns Hopkins Center for Talented Youth, where she designed special writing courses, such as “Writing Workshop: Where Art Meets Science”. 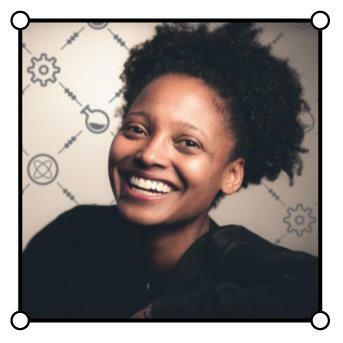 She has taught science-themed poetry at an all-female STEM summer program in Dammam, Saudi Arabia and in Beijing, China for the Center for Excellence in Education. She teaches a year-long seminar at Butler University called “Physics and the Arts.” She lives in Danville, Indiana.